Offers: Open Fairways discount card. Hotel. Large clubhouse with excellent catering facilities. Large, fully stocked, professional shop. Golf practice area. Not played Channels for many years. Now very different. No course planner/guide available. Golf GPS very confused, as was I. Greens excellent, fairways etc good. All in all nice, but they must sort out course mapping etc. Yesterday was my first visit to Channels since its rebirth. 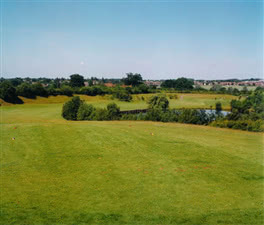 The course lost 5 holes to land sold off for development. The first six hole are much of a muchness all par fours all flanked with trees. The greens were fast but receptive to a pitch. The holes were poorly cut some the sides had collapsed a little, between the four ball we had 10 rim/lip outs I had four. Only three par threes and one par 5 makes it tough for those that don't hit it a country mile. Hole two and 15 are huge par 4's 450ish 15 is up hill, I bogeyed it but its tough to par. Channels has loads of water so bring plenty of balls. I enjoyed the new par 5 had a birdie chance but a par in that wind I'd take. I used to really like Channels but feel it is way behind where it was a few years ago, its still a descent track but I only paid £27, I would not pay more. We were unlucky with the weather which was very windy perhaps that and that I did not play very well have made my comments more negative than they should be? Three out of five from me. The greens are good but its an old boys course. Beautifully laid out to make best use of the copious number of water hazards. Nicely undulating, a stiff test of ability - both golf and walking, on the day played, ball spotting was difficult if the ball was off the fairway. Wind and chill conspired to make this very challenging. Care required on most holes, but do take the time to enjoy the panorama. Sat Nav send me down a long country path, good parking and a nice stroll through the bar/restuarant area. Staff more than welcoming, cuisine (before and after golf) was of commendable quality. This would be a favourite club if it were closer to me, But well worth the trip, and though the course is not excessively long - it is long enough to challenge. A good course to think your way around, not easy by any means (lots of tee shots over water).